The mayor of San Jose had made a Green Vision commitment in 2007 to reduce CO2 by 50% before 2022 and street lighting would play a big part in the plan. San Jose, CA was one of the first cities in the US to install a pilot test of LED street lighting with adaptive controls in 2009. 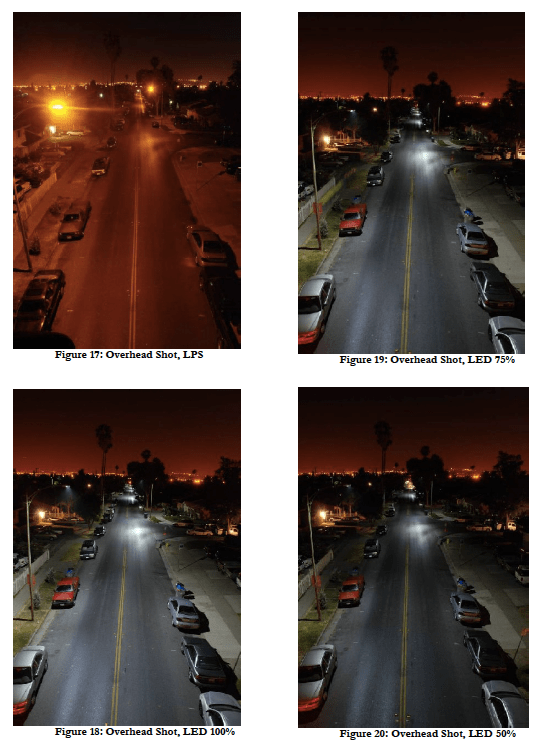 In 2010 San Jose contracted the Virginia Tech Transportation Institute to conduct the most detailed in situ evaluation of street light fixtures to date, using several types of light sources at various lighting levels using adaptive controls. The results of the research showed that even at 50% of IES recommended lighting levels; white LED exhibited better small target visibility (STV) than HPS at full output. Clanton and Associates was engaged as a lighting consultant on the project and developed a public survey of the lighting fixtures being tested. During the survey over a hundred citizens were led through different streets with the fixtures being tested and at different lighting levels. 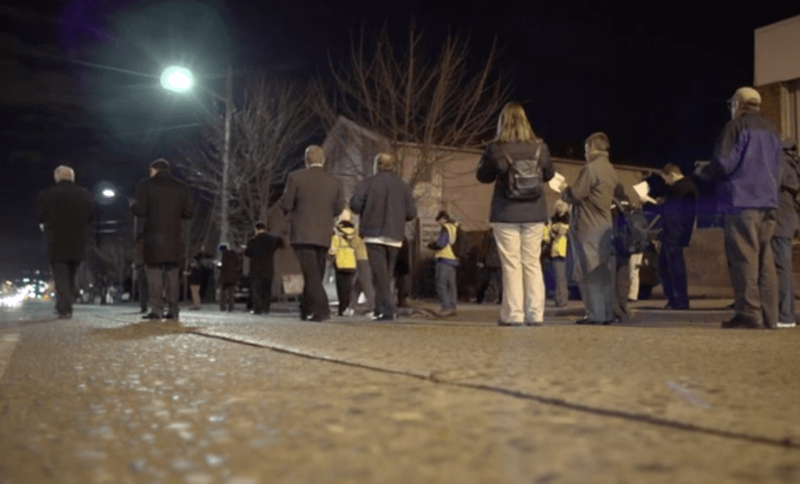 They were asked to subjectively evaluate lighting issues like visibility and safety. The consultant produced a detailed report from the survey data and analysis of the field research done by VTTI that should be required reading by anyone considering a LED retrofit project. 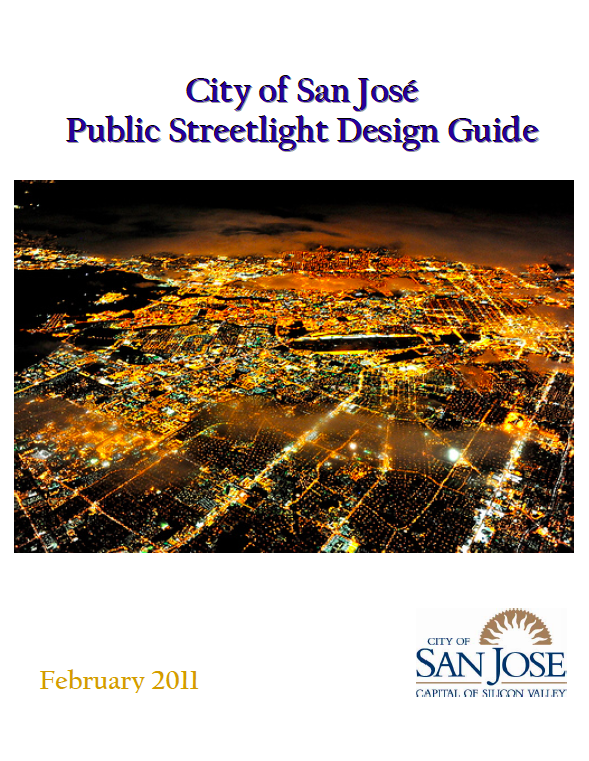 Based on the findings of the report, San Jose published a Public Streetlight Design Guide in 2011 that included a section of adaptive controls and dimming. This may be the first such document to include this information. In this guide it established a plan to dim lighting based on the IES RP-8 street classification. By determining the amount of vehicle and pedestrian volume on streets at various times during the night, if is possible to dim lighting after peak periods to reduce energy consumption. San Jose chose to dim lighting by 50% at midnight. The city had installed approximately one third of its 62,000 street light fixtures it owns by the end of 2015. They have used several types of fixtures through the process including Philips Lumen Roadstar, and Leotek ECobra and GreenCobra. The 4000K CCT fixtures are being installed with Owlet Wireless controls and Nightshift Central Management System (CMS). Another important first for this installation is the adaptive rate utility tariff that San Jose was able to negotiate as part of a pilot program by Pacific Gas and Electric (PG&E). The combined efficacy improvement of LED and dimming to 50% from 12 – 6 am has netted approximately 40% energy savings over the already very efficient low-pressure sodium (LPS) lighting that was replaced. San Jose currently has an innovative request for proposal (RFP) out to complete the LED retrofit and hopes to do so using a public/private partnership. The proposed date for completion of the LED retrofit project in the end of 2018. A final note, in December of 2015 San Jose announced a pilot program with Philips to install 50 SmartPoles that will integrate 4G/LTE wireless services provided by Ericsson along with Philips RoadFocus lighting fixtures.